No harm in a little gentle spamming. If the thh trolls can do it then so can we. I'm posting here because I still think that 3dxChat will wilt and die unless something is done to reduce the power a certain person hs over the game and the forums. It cannot be good business where your user base is defined by whether an single individual 'likes' someone or not. Thanks for that, reporting it. Good luck that person has you to report all this! Some could think now your his watchdog. Don't you think a person who continuously insults women and others can speak for himself? Seems you do not have anything to say... but you can't quit responding.... it seems a reflex of you... maybe go out and take a walk to get down.... it helps me also sometimes to get new ideas. 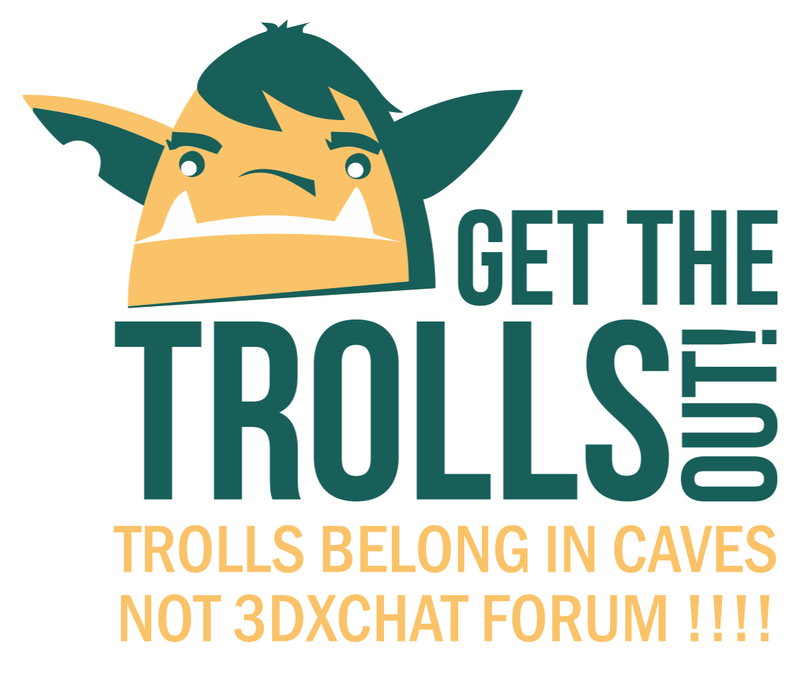 A perfectly good point was made, Mar_Mohan, that 3dxChat is threatenned by trolls. Your response is threats of reports and quote spamming. I mostly agree with the opinion. The issue is what, if anything, can be done about the trolls derailing every thread they don't like. Some say not feeding the trolls is the answer. That's fine if you don't say anything they object to. As soon as you do they'll be in there bullying, ridiculing and abusing. Easier not to post at all, but where's the benefit to the forum in that. The forum needs proper moderation, as does world chat in game. to remove bullies and trolls. As I've said several times before, remember kristallnacht - if you don't know about it I suggest you google it. It's what happens when the authorities and the population do nothing. In short this is just another example of what the trolls do. Do we want to forum to just consist of fun games? I think we'd all like something a bit more. Some threads survive, partly because they don't say anything the trolls don't like or they are 'friends' with the trolls. We've been told that RobT is a nice guy to people he likes but goes 'a bit too far' with people he doesn't. I suspect that even if a person he doesn't like makes an innocuous post then that person will still be attacked. For example, my post in my diary about fighting fascists in the mid 1970's was reported by Mar_Mohan and included in a whole heap of quote spam. Go and look if you want to check it out. http://3dxforum.com/...mmunity-rules/ This is my last post I will be doing screenshots from now on. You already wrote this in another thread Mar.... is this only thread related? Oh... and I thought you already do screenshots of all we say So can I use you as a backup source from now on, if I need to find a specific screenshot? hat would be awesome! I doubt she’ll screen grab anything her friends say, no matter how obnoxious. She might post them after they’ve been heavily photoshopped. Should I dig round in my backups for forensic image analysis software? Well it is much more easy to manipulate the html of a page before screenshot... you can never proof this. Well maybe it was wrong to tell this here, but I like to have all facts on the table. 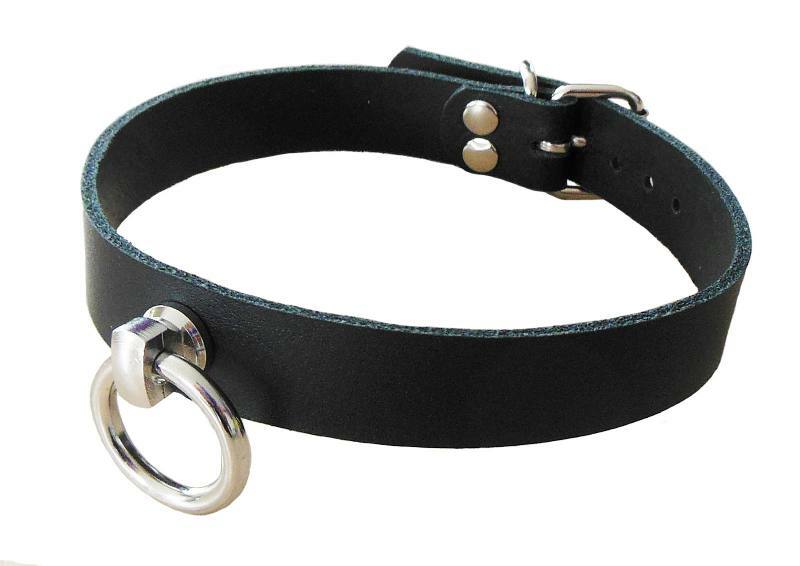 Simple leather collar. Spiked one looks too aggressive. Full metal - too heavy for everyday use. Something simple. And also options with some dirty names on it would be nice too. Well it's sure not bad, but if someone wants to look subby, without aggressive/bratty element, spiked not a best option. And full metal... Just too much for everyday use, if you want to stay more or less realistic.Other options don't even have a ring. Can I get mine with a shiny rhinestone belt, pleeeeaaassseeee????? I had heard their were moderators at one time. 3DX needs to rethink not having them, in my opinion. In-world and forum, just saying. This is copy of my post in other thread. Proper moderation is expensive, no? I think there is not enough money made by 3dxChat to pay moderators. I think the errors on the forum indicate that the forum will close soon. To save money, no? I have a suggestion, although I'm not sure how difficult it would be to implement. An offline mode. Some people have a bad internet connection so maybe give them a mode that allows them to play offline. It could be that in the offline mode, you're limited to being in your home area and only have Bob and Betty (and the two avatars you might have) for interaction. Just an idea.